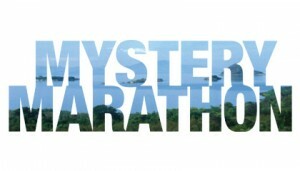 Mystery Marathon is the marketing umbrella for a planned series of destination marathons (including half marathons & 10K runs). Events are initially promoted as Mystery Marathons to create interest & speculation about the venue. The first Mystery Marathon was revealed at the Berlin Marathon to be the Haile Gabrselassie Marathon in Ethiopia to be held October 2013. While the HG Marathon will continue on as an annual event after 2013, a new Mystery Marathon will be announced for 2014. PCH Sports is a consultant to Morey Mountain Sports, the event owner & producer.